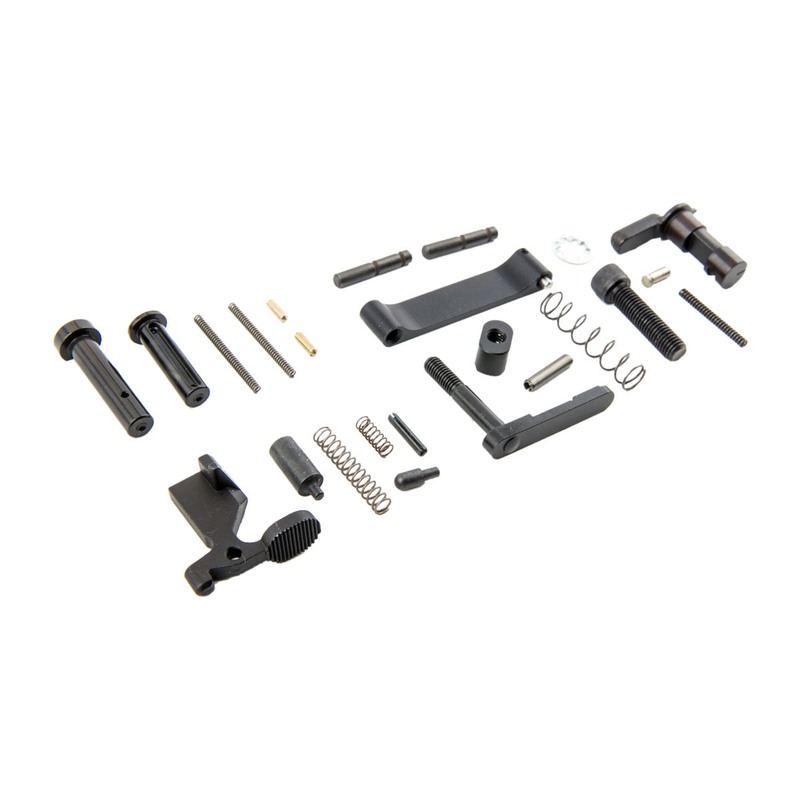 This 5.56 NATO AR-15 lower receiver parts kit is made of all high quality, Made in the USA, Mil-spec parts. This kit does not contain a fire control group or pistol grip. 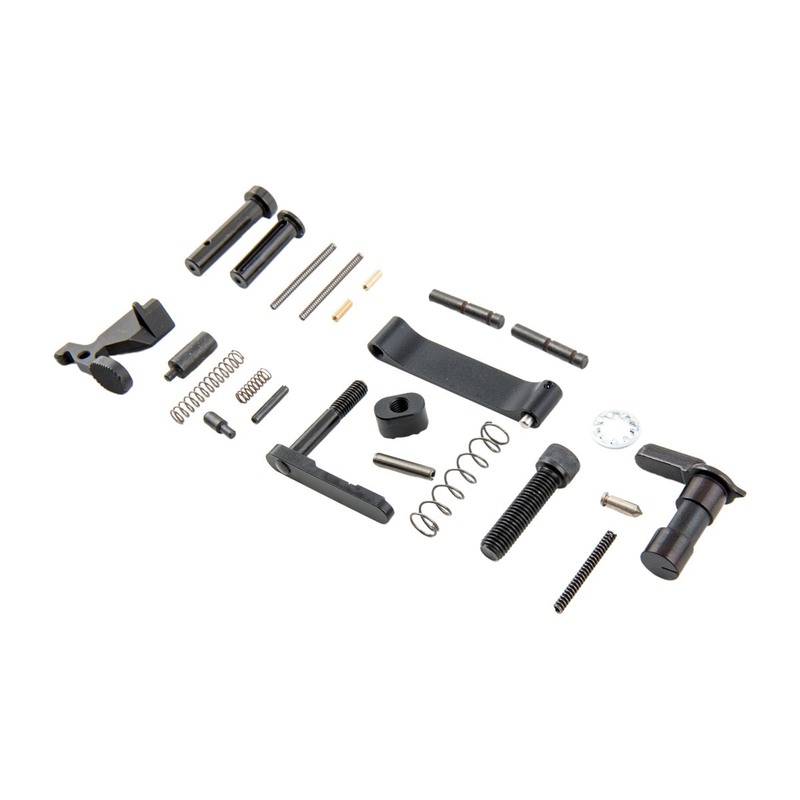 Each part is well made, durable and packaged in color coded bags for easy installation. 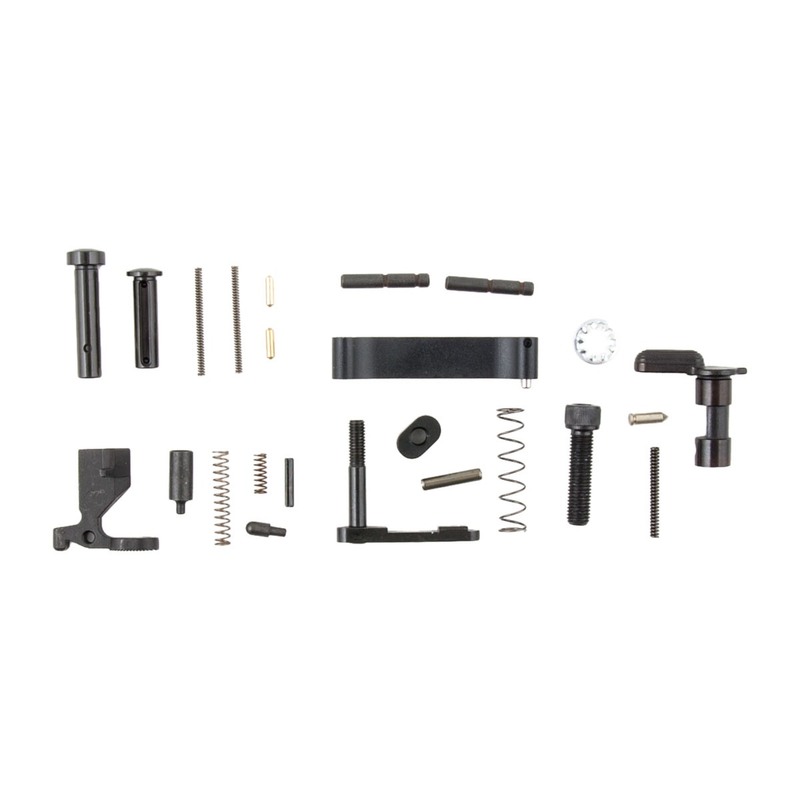 This kit is an excellent choice for building or rebuilding an AR-15 rifle. Contains: Takedown Pin, Receiver Pivot Pin, Takedown Pin Detent (2), Takedown Pin Detent Spring (2), Bolt Catch, Bolt Catch Plunger, Bolt Catch Spring Pin, Bolt Catch Spring, Buffer Retainer, Buffer Retainer Spring, Magazine Catch, Magazine Catch Spring, Magazine Catch Button, Trigger Guard Assembly, Trigger Guard Pivot Spring Pin, Safety Selector, Selector Detent, Selector Detent Spring, Grip Screw Washer, Grip Screw. SPECS: Fits standard 5.56 NATO AR-15 lower receivers, Mil-Spec.